Pentair is a global water, fluid, thermal management and equipment protection partner with industry-leading products, services and solutions that fit the industry’s ever-changing needs. Pentair aims to deliver adaptive solutions that help ensure a safer, healthier future for all. Pentair works at the very center of global commerce, providing critical inputs to a wide range of essential industries. 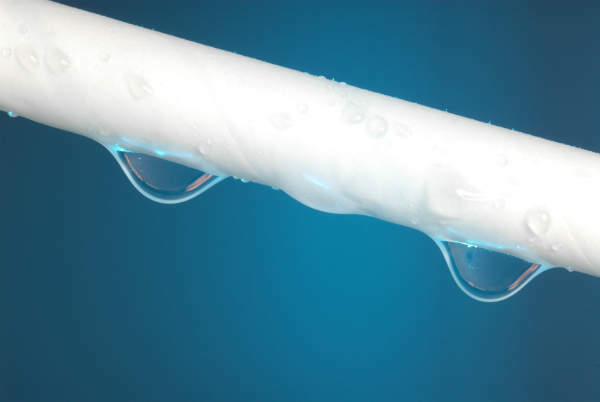 A key competence in the large and diversified portfolio of offerings is X-Flow’s proprietary membrane technology. Pentair X-Flow membranes are used in the field of ultrafiltration in capillary form, and microfiltration and ultrafiltration in tubular form, which makes selective membrane filtration possible. X-Flow has expertise and experience in all water areas, from potable water production to the treatment of process and wastewater and the pre-treatment of seawater, but also in a broad range of industries such as oil and gas, food and beverage, mining and power. Due to the highly innovative character of Pentair X-Flow, the company is capable of creating the conditions to meet changing requirements with durable and reliable products. Among recent developments is the breakthrough nano filtration platform, including products such as a unique capillary tight ultrafiltration membrane (MWCO of 10kDa) and the first capillary nano filtration membrane (MWCO of 1kDa), but also the development of an anaerobic membrane bio-reactor. Together with Veolia Biothane, Pentair X-Flow recently developed a compact wastewater treatment system, which combines a robust and reliable tubular ultrafiltration membrane separation process with anaerobic biological treatment. Compared with conventional anaerobic digestion systems this combination offers several significant advantages, such as higher biogas production and higher biomass concentration leading to short pay-back periods. 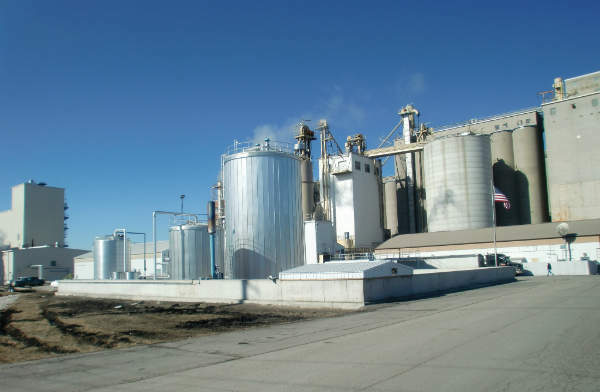 The ultrafiltration system achieves complete biomass retention in the anaerobic digester, which in its turn results in significant digestion efficiency. Effluent quality is much higher and increased loads of organic matter are transferred into biogas, which results in lower post-treatment and / or discharge costs. The anaerobic MBR process is typically 99% efficient; effluent water is of such high standard that it can be either discharged directly to the sewer, or it can be reused. With the anaerobic membrane bio-reactor process, high-strength and high-solid waste (water) streams can be treated – streams which can especially be found in industries such as dairies, producers of bio-ethanol, distilleries or coffee plants. As a renewable technology, the AnMBR process produces big volumes of methane-rich biogas which can cover a large part of the energy and heat required by the production plant, even up to 100% in distilleries. Besides the recovery of biogas and heat, the anaerobic MBR also facilitates the recovery of other valuable sources. Due to its high-quality effluent, the AnMBR enables easy recovery of nutrients, which can be used for the production of fertilizer goods, and of course, the water can be reused in a broad range of industrial processes. Due to the favorable capital and operational expenditure, in combination with the systems’ robustness and simplicity, the anaerobic MBR is increasingly preferred by clients as their wastewater treatment solution. The anaerobic MBR combines two proven technologies: Pentair X-Flow’s tubular ultrafiltration membranes and Biothane’s anaerobic biological wastewater treatment. The ultrafiltration membrane unit provides a reliable, robust and flexible solution. 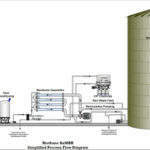 Due to the application of long sludge retention times, excessive sludge production is minimised by the AnMBR process. The membranes are placed outside the bioreactor, which results in a simple and easy-to-maintain system. Due to the fact that is fully enclosed, odor release is completely prevented. 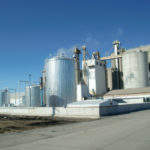 Anaerobic treatment is the proven and energy-efficient method to convert industrial wastewater into biogas. Low energy requirements, a smaller reactor footprint, lower chemical usage and reduced sludge handling costs are among the technology’s advantages. Biogas produced through anaerobic treatment can make the plant energy neutral or even a renewable energy producer. Pentair X-Flow has the know-how and a proud history in the development and application of innovative membrane filtration technologies. This is strengthened by the fact that Pentair X-Flow is part of the Pentair Group. Proof can be found worldwide: operational solutions among the largest in capacity of their kind, realized by leading principals in many different areas in the industry. Pentair X-Flow has led the field in the development and application of responsible membrane technologies for more than 25 years by focusing on multi-disciplinary know-how, research and service. Last week, at the Aquatech show in Amsterdam, the Netherlands Veolia Biothane and Pentair have signed the agreement for the supply of the ultra filtration part of the anaerobic membrane bio-reactor (MBR) project at the Mars facility in Poland. This agreement is the second success for Memthane Anaerobic MBR at Mars in just a short period of time, following the Mars Veghel project in the Netherlands where Anaerobic MBR was selected since it showed to be more sustainable compared with conventional anaerobic technologies. During the Singapore International Water Week, Sigma Water Malaysia and Pentair X-Flow signed an agreement for Pentair X-Flow to supply membrane modules for two projects in the food and beverage sector. In both projects, membrane technology will be used to reduce the plant's carbon footprint and optimise the available water resources.